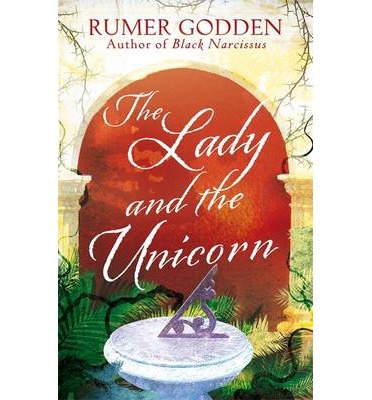 Rumer Godden is the author of over sixty works of fiction and non-fiction, for both children and adults. Virago have recently reprinted a handful of her books to add to their impressive canon of women’s fiction. First published in 1984, Thursday’s Children is amongst the newest offerings. As its title suggests, this novel is based upon the childhood rhyme ‘Monday’s Child’, in which ‘Thursday’s child has far to go’ – a definite precedent for the story which Godden has woven. Thursday’s Children focuses upon a young boy named Doone Penny, who was ‘born to dance’. His sister Crystal, also a dancer, receives much of the attention in the Penny family, and Doone’s brothers and father look upon him with something akin to contempt at times, believing that any boy who enjoys ballet is the worst kind of ‘sissy’. He is the youngest child in rather a large family, a surprise baby who was born to a mother who wanted her beloved daughter, born after four boys, to be her last. ‘To be the youngest in a family is supposed to be enviable, but that is in fairy-tales; with four older brothers and an important older sister, Doone rarely had a chance to speak’. From the start, Doone is not treasured as he should have been: ‘… he was an unsatisfactory child… [he] was persistently ragamuffin, his socks falling down, his shoes scuffed… he was often puzzled and, often, when spoken to seemed curiously absent, too dreamy to be trusted with the simplest message. He was to be a failure at school – every term a worse report – did not learn to read properly till he was ten and was so silent that he seemed to Ma secretive’. The first part of the novel opens with Doone’s spoilt elder sister complaining about having to take her brother along to the dance class which she attends. Since his early childhood, Doone has been largely ignored by those around him, and even his mother sees him as somewhat of a burden. He is an incredibly musical child and is taught to play the mouth organ when a tiny little boy by a wonderfully crafted little man named Beppo who helps out in his father’s North London grocery shop. When Beppo is forced to leave his employment, Doone realises ‘that now there was nobody who wanted him’. When the eldest brother, Will, suggests that he should be given lessons in his beloved mouth organ as it is unfair that the majority of the family’s money is spent on Crystal and her dancing, Ma Penny says, ‘… when, in a family, one child has real talent, the rest have to make some sacrifice’. Doone’s own love of dancing is realised when he is given the opportunity to attend a professional ballet performance with his mother. He begins to have clandestine dance classes along with four other London boys. It is a coming of age novel of the most satisfying type. We see Doone, our protagonist, grow before our eyes, and triumph over the situations and family members which try to overcome him. Dance runs throughout the entire book, as one might expect given the storyline. However, Godden has gone further than merely to write about dance. Indeed, the novel is presented as something akin to a theatre programme, outlining the ‘cast list’ before it begins, and opening with a ‘Prelude’, which sets out the ‘World Premiere of Yuri Koszorz’s “Leda and the Swan”‘. Here, Doone has been cast as a cygnet: ‘No boy of that age, in Mr Max’s remembrance, had been entrusted with dancing a solo role in a ballet at the Royal Theatre’. Despite this prelude merely being Doone’s dream, these nice touches to the book launch us straight into the life of the ballet. Godden’s writing is marvellous. She weaves an absorbing story and intersperses it with touching anecdotes about its characters, pitch perfect dialogue and the loveliest of descriptions. The settings which she uses come to life in the mind of the reader: ‘It was only a prelude; the music changed, the clouds came down, and Doone could feel an almost magnetic stir in the audience beyond the orchestra pit’, and ‘the Royal Theatre, for an English-born dancer, was not only the Mecca, the peak of ambition, but also home’. Her love of dancing and the theatre shines through on every page: ‘the music, the lights, the little girls – it seemed to him a hundred little girls – all in party dresses and dancing shoes, moving to the music in what seemed to him a miracle of marching, running, leaping’. Her character descriptions, too, give us a real feel for the leading men and women of the book: ‘It was difficult to believe Pa had once been a romantic young man who, when he was not learning to be a greengrocer, willingly went without tea or supper to go to a musical or a revue’.